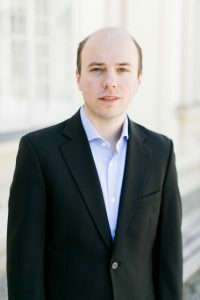 Born in Bern, Switzerland, Terry Wey started his vocal education with the Vienna Boys’ Choir before studying voice with Kurt Equiluz, and at the Konservatorium Wien Privatuniversität with Christine Schwarz. Winning several competitions early in his career opened the door to the international concert and opera scene. He now works regularly with the most revered baroque orchestras and conductors performing at the finest opera houses, concert halls and festivals in Europe. His particular interest in Renaissance polyphony led, in 2004, to him co-founding the vocal ensemble Cinquecento, which has since recorded numerous CDs for the British label Hyperion and performed at the most important festivals for early music. He also works regularly with leading early music ensembles such as the Huelgas Ensemble, Gesualdo Consort Amsterdam or Weser-Renaissance Bremen. Alongside his career as a countertenor Terry Wey has also completed his studies as a lyric tenor. Together with his ensemble colleague Ulfried Staber he sings all forty voices of Thomas Tallis’ monumental motet “Spem in alium” as part of a live performance entitled “Multiple Voices”, last performed at the Concertgebouw Amsterdam. He can be heard and seen on a great number of CD and DVD recordings.